Photo of suspect. Source: Charleston Police Department, via Facebook. There has been another mass shooting in the United States — this one killing nine people during a Wednesday evening Bible study at the historic Emanuel African Methodist Episcopal Church in Charleston, S.C. Among those feared dead is the Reverend Honorable Clementa C. Pinckney, the church pastor and a member of the South Carolina Senate. In a terrible footnote, Pinckney, who led a church at which the Rev. Martin Luther King Jr. spoke in 1962 prior to receiving the Nobel Peace Prize in 1964, was a member of the Senate Corrections and Penology Committee, according to his Senate bio. Charleston police have described the shooting rampage as a hate crime. The suspect (photo above) alleged to have fled the scene is described as a white man in this twenties who mixed with parishioners prior to opening fire and carrying out the massacre. He appears to have been carrying something on his back when entering the church. The Post and Courier of Charleston is reporting that the victims include six women and three men. 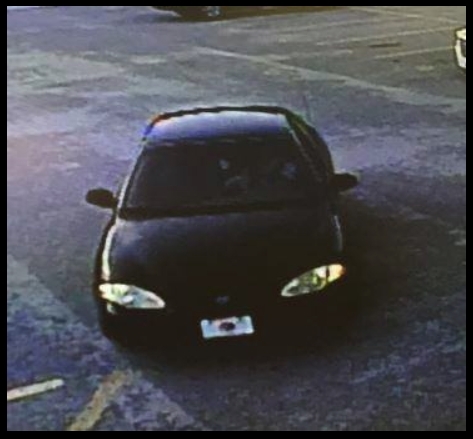 Photo of suspect vehicle. Source: Charleston Police Department, via Facebook. UPDATE 10:36 A.M. EDT U.S.A. ABC News, citing the FBI, is identifying the suspect as Dylann Roof, 21. UPDATE 11:05 A.M. EDT U.S.A.
UPDATE 11:45 A.M. EDT U.S.A. Charleston police have confirmed the arrest of Dylann Roof. UPDATE 11:59 A.M. EDT U.S.A.
Good morning. Before we begin today’s announcement, I want to take a moment to address the heartbreaking and deeply tragic events at Emanuel AME Church in Charleston, South Carolina – a crime that has reached into the heart of that community. The Department of Justice has opened a hate crime investigation into this shooting incident. The FBI, ATF, U.S. Marshals Service, Civil Rights Division and U.S. Attorney’s Office are working closely with our state and local partners, and we stand ready to offer every resource, every means and every tool that we possess in order to locate and apprehend the perpetrator of this barbaric crime. Acts like this one have no place in our country. They have no place in a civilized society. And I want to be clear: the individual who committed these unspeakable acts will be found and will face justice. As we move forward, my thoughts and prayers – and those of our entire law enforcement community, here at the Department of Justice and around the country – are with the families and loved ones of the victims in Charleston. Even as we struggle to comprehend this heartbreaking event, I want everyone in Charleston – and everyone who has been affected by this tragedy – to know that we will do everything in our power to help heal this community and make it whole again. I encourage the people of Charleston and the wider area to continue circulating the photos of the alleged perpetrator and report any tip, no matter how minor, to the tip line, which can be reached at 1-800-CALL-FBI. 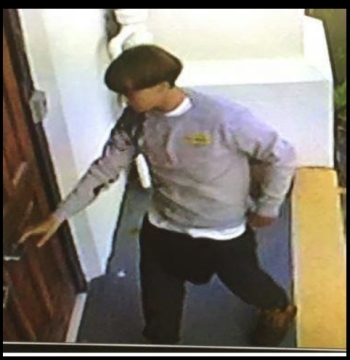 UPDATE 3:55 P.M. EDT U.S.A.
UPDATE 4:55 P.M. EDT U.S.A.
On June 17, 2015 at approximately 8:00PM, the pictured white male suspect entered the Emanuel AME church located at 110 Calhoun Street and began shooting church members. The suspect was seen leaving the church in the below pictured black four door sedan. Law Enforcement needs help to identify this individual as part of the ongoing homicide investigation. The suspect is considered armed and dangerous. Anyone with information regarding the suspect’s identity or whereabouts is asked to call 1-800-CALL- FBI (1-800-225-5324). U.S. Attorney General Loretta Lynch is making a statement on national TV about the church massacre. I’ll post a USDOJ link, if one becomes available. Quick note: CNN is reporting that the President of the United States will speak on the church massacre. Time uncertain. Charleston police confirm arrest has been made and that the subject is Dylann Roof of Lexington, S.C. . . .
Dylann Roof wanted for shooting on Calhoun Street is in custody.